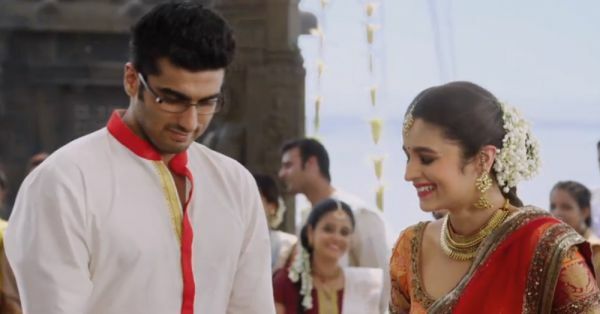 13 Sweet Promises To Make To Each Other During The Saat Pheras! Indian weddings are all about the traditions and rituals that are associated with them. All these rituals have a significant meaning and are followed by many. The saat pheras is one of the most important rituals in a Hindu marriage. Each phera has its own meaning and significance, and is a promise the husband and wife make to each other. Only after the saath pheras are complete, the couple is declared husband and wife. Apart from the mantras the panditji reads during the pheras, here are a few promises every couple should make to each other while taking the pheras. Relationships are built around communication, and communication is a two way road. If one wants to be heard, one must also be willing to listen. It is essential for both of you to be open minded and see things from each other’s perspective. Talking about all your problems, fears, insecurities and every small and big thing will help you cement your relationship. You should promise each other that you will accept your partner just the way he/ she is and never expect the other to change. You both should love and respect each other for the person each of you is. Life will get hectic, there will be good and bad days - but you both must promise to always have time for each other. Come back home after a long day at work and make it a practice to have dinner together. Never get so busy in life and at work that you both have no time left for each other. A couple must be there for each other during all phases of life. Your partner should be the one with whom you will share all your happiness, and that’s the shoulder you will cry on as well. You have to be each other’s strength and always help the other stand up no matter how many times he/ she falls down. Gone are the days when the girl is asked to compromise and adjust for her husband. Today, both the husband and wife promise to compromise and adjust with each other. A little sacrifice here and there will go a long way in your relationship. And when you truly love a person, small adjustments don’t make a difference, right? Just like you are a wife for the first time, he is also being a husband for the first time. As a couple, you both will make mistakes in your relationship along the way. But you both should promise each other to learn from these mistakes and not get angry or impatient with each other in the process. Also read: #Aww: These 7 Real-Life Proposals Are Just TOO Romantic! As a married couple, you must promise each other to make all decisions together. You both should discuss every big and small detail and come to a decision mutually. Just because you both are married to each other, doesn’t mean that you both start taking each other for granted. You both must value each other and must do whatever it takes to ensure you never lose each other. There is never going to be “I”, “ME” or “YOU” in a relationship, it is always going to be “US”. You both are a team now. Come what may, you both must stand up for each other always. Be it be in front of your relatives or your friends, you both should always stand up for each other against all the odds. After marriage, you have a new partner, but you also have a new family. You must promise to accept each other’s families, learn their traditions, treat them with love and care just like you would for your own family. Today, tomorrow and forever, the happiness and wellbeing of both of you will always be a priority for each other. Also read: Filmy Weddings vs Real Weddings: 9 Things That DON’T Happen!